For special holidays and events, we normally stay home and enjoy the peace and quiet. I’m really over the crowds and overpriced food that has a lackluster taste. And I really don’t like spending money on not-so-great food! 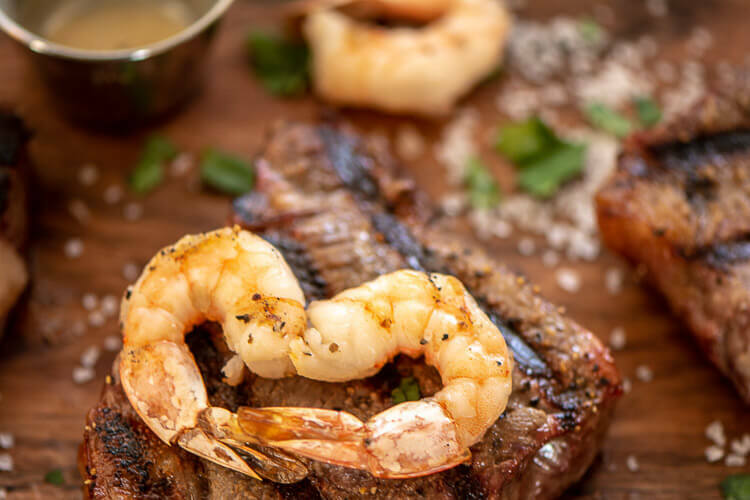 For Valentine’s Day, Jason was a sweetheart this year and made grilled steak and shrimp! I was so excited to not have to cook! How to Prep the Shrimp? If the shrimp you are using are not deveined, take a couple of minutes to devein them and run them under cold water. Look for any overly limp, slimy or fishy smelling shrimp and toss them out. How Long to Grill the Shrimp? Shrimp doesn’t take very long to grill. I added them to the grill at the very end, just before serving up the dish. Place the shrimp on the grill for 2-3 minutes and then flip them over. Grill for an additional 2-3 minutes. 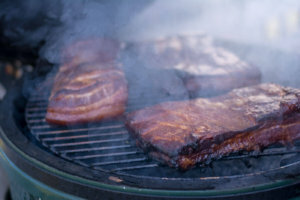 Try not to be tempted to grill them longer as they will become very tough and chewy. How do You Know the Shrimp is Done? When the shrimp is completely cooked, they will be a beautiful pink color. This will take just 2-3 minutes on each side. 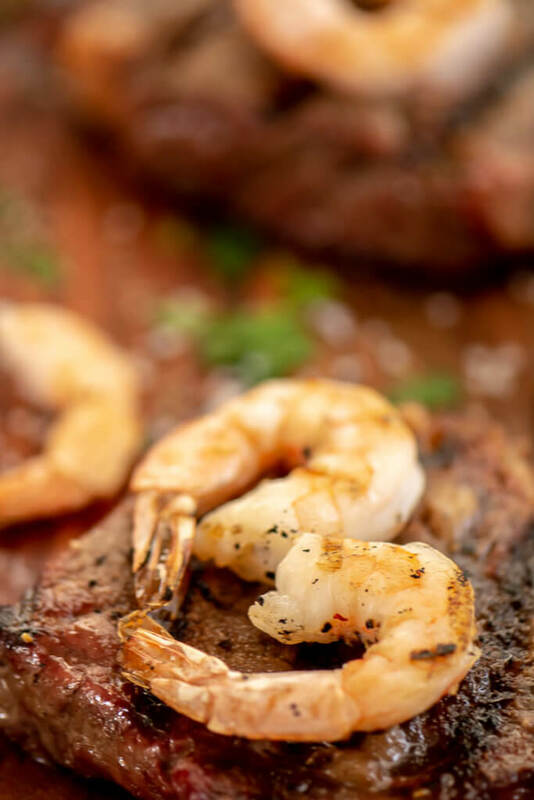 Stay close by to the shrimp when grilling as they cook up quickly. The shrimp will curl as it cooks. As a general rule of thumb, when the shrimp curls up to “C” shape and the color changes to pink, it is done. 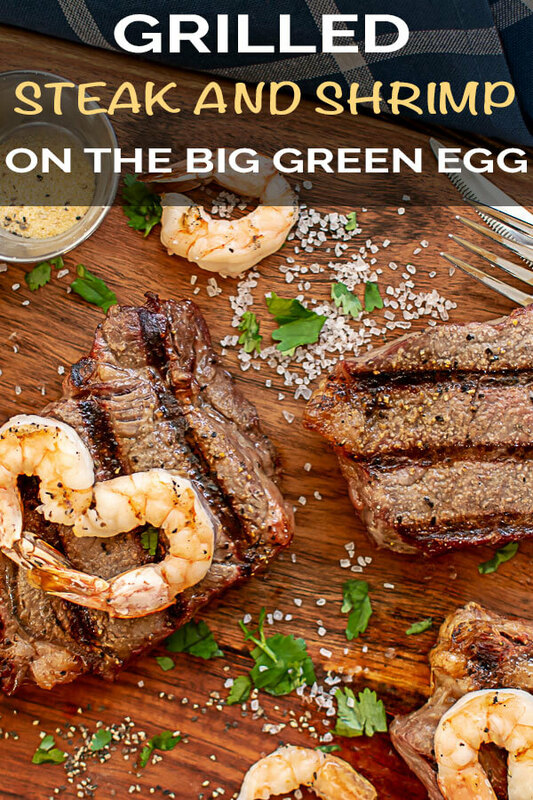 If you leave it on the grill too long, it will curl up into an “O” shape and become tough. We used two shrimp to form the heart. How Can You Tell the Steak is Done? 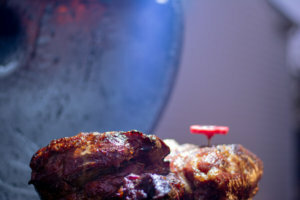 Steak is tough to gauge when it is done if you are not using a meat thermometer. Open up your hand wide. Touch the soft fatty area down from your thumb. That is how raw steak feels. Touch your thumb to your pointer finger and feel that same area down from your thumb and that is how RARE steak should feel. Move your thumb to your middle finger and feel the same area down from your thumb and that is how MEDIUM steak should feel. Touch your thumb to your ring finger and feel the same area down from your thumb and that is how MEDIUM WELL steak should feel. Move your thumb to your pinky finger and feel the same area down from your thumb and that is how WELL DONE steak should feel. How to devein the shrimp? Set up the grill for direct heat at 400 degrees. If you have it, place a GrillGrate on the grill. 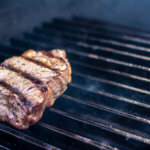 This is my favorite tool for the grill as it quickly cooks the outside of the steak and leaves some beautiful sear marks. I like to cook steak at a higher temperature so it gets that nice seared-in flavoring. Add a bit of garlic salt and pepper to the steak and add it to the GrillGrate. I cooked each side of the steak for five minutes until it was a nice medium temperature. 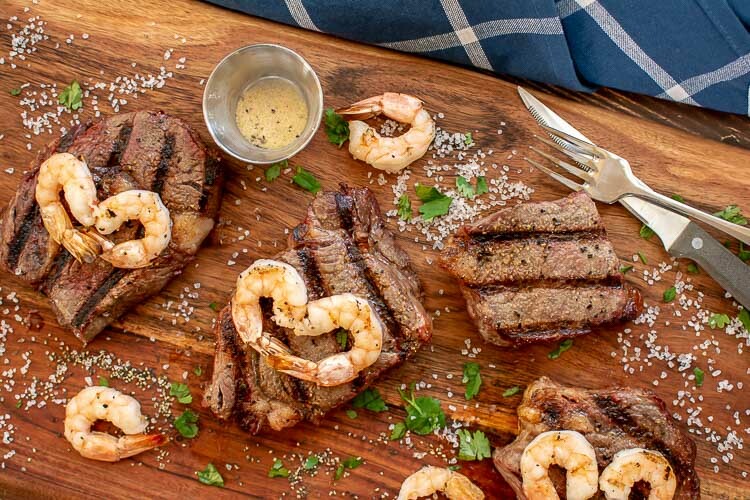 How to Make the Heart for the Grilled Steak and Shrimp? Take two shrimp and turn one curled side towards the left and one curled side towards the right and they will meet in the center to create a heart. 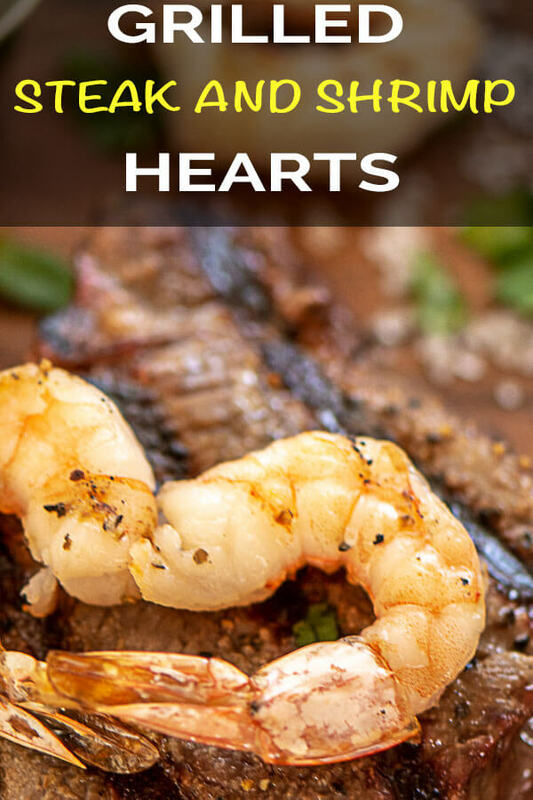 Add a heart to grilled steak or pasta for a loved one. It just takes two seconds, adds a lot to the presentation, and means so much to the person receiving it. Are you a Romantic? Shrimp Heart Shapes! Cut the steak in half. Dry off with a paper towel. Sprinkle with the garlic salt, pepper and salt, to taste. Heat grill to 400 degrees. 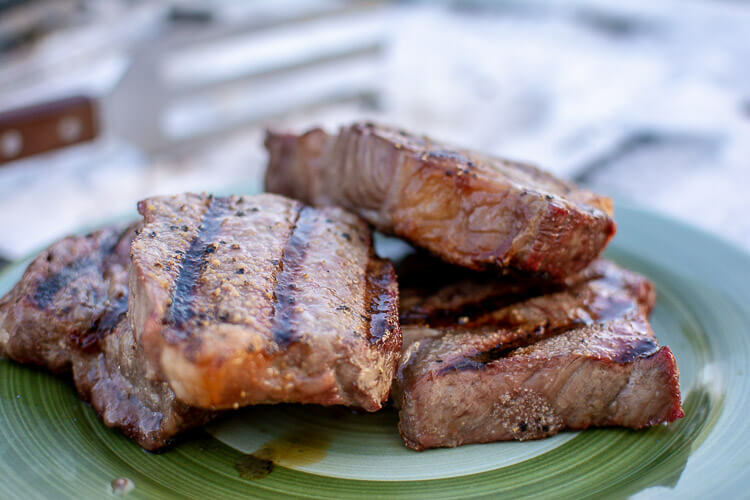 Place steak on heated grill and grill each side for 5 minutes for a medium steak. 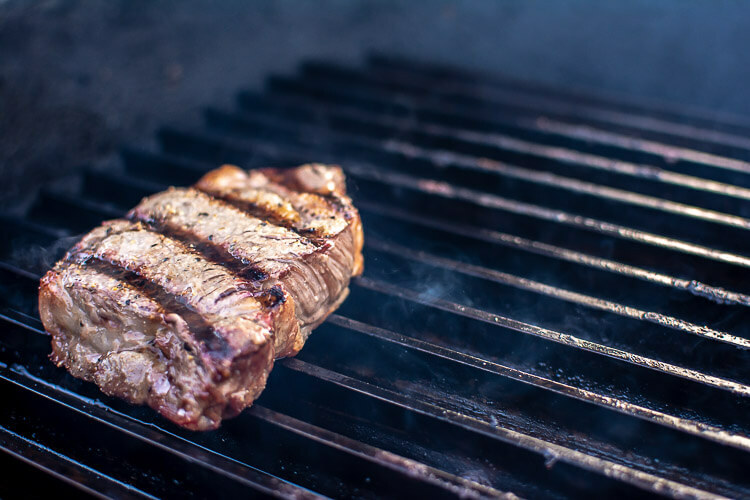 Refer to section of testing for the perfect steak. Sprinkle the shrimp with a little bit of salt. 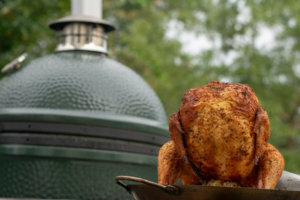 Place on grill. Grill shrimp for 2 minutes each side. Shrimp should be pink on the outside, opaque on the inside and the tails should be a bit darker pink. Create heart shape on top of the steak! 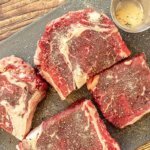 Nutrition facts based on 10 oz rib eye, cut in half to make (2) 5 oz steaks. The recipe calls for (2) 10 oz rib eyes, making (4) total 5 oz rib eyes. If yours is larger, the calorie content will rise.